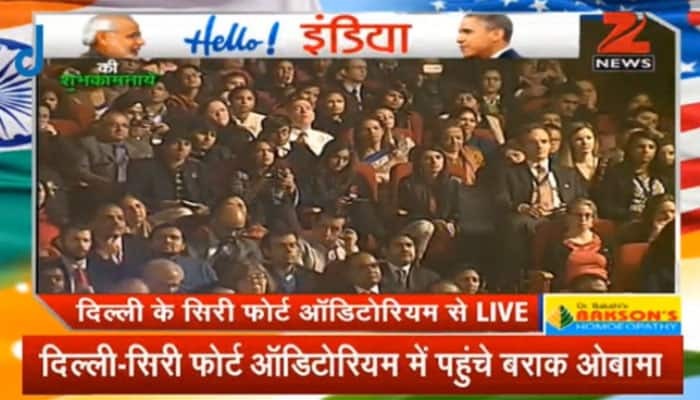 U.S. President Barack Obama and first lady Michelle Obama interact with the crowd at the Siri Fort Auditorium, in New Delhi. 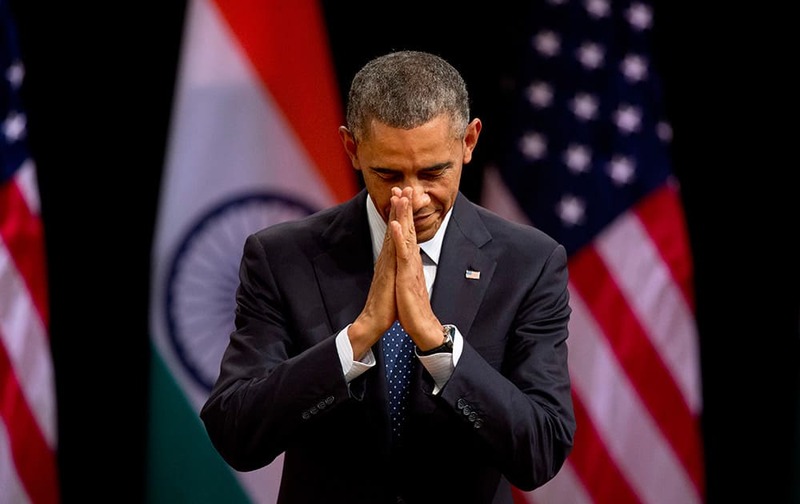 U.S. President Barack Obama folds his hands together in a traditional Indian greeting gesture at the Siri Fort Auditorium, in New Delhi. 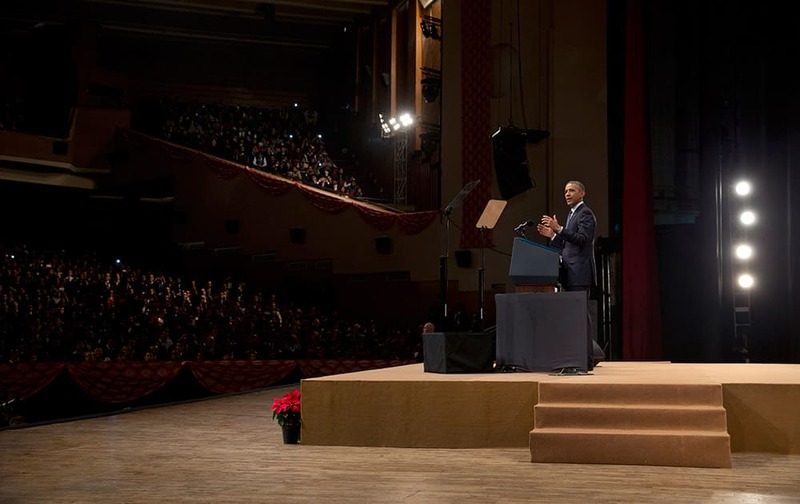 U.S. President Barack Obama speaks at the Siri Fort Auditorium, in New Delhi. 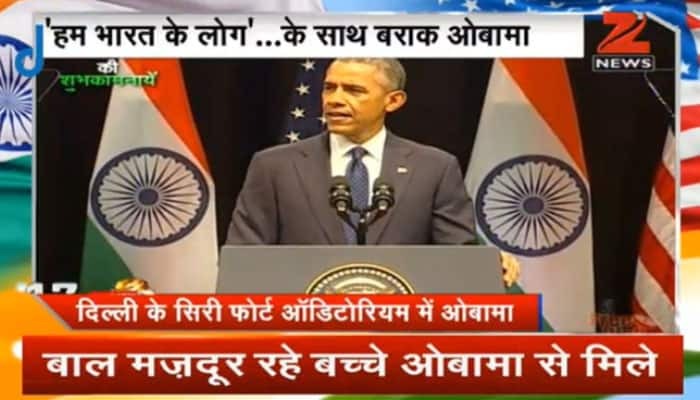 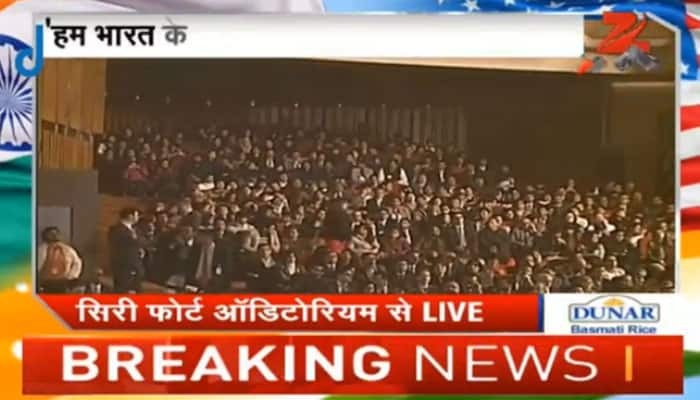 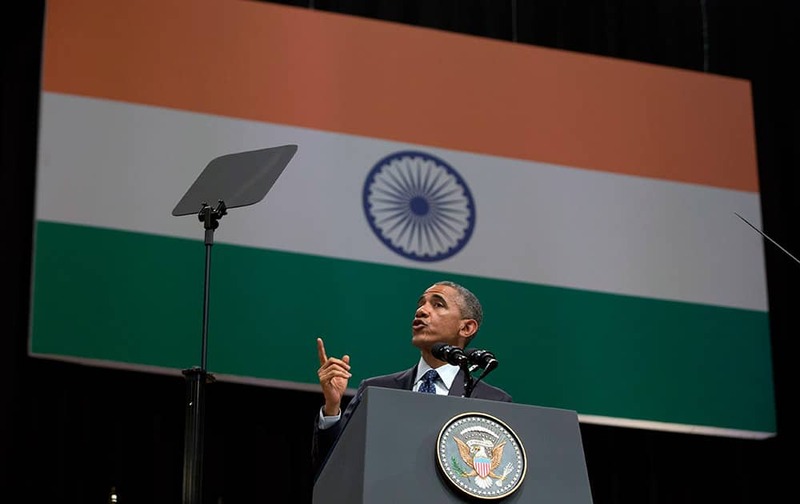 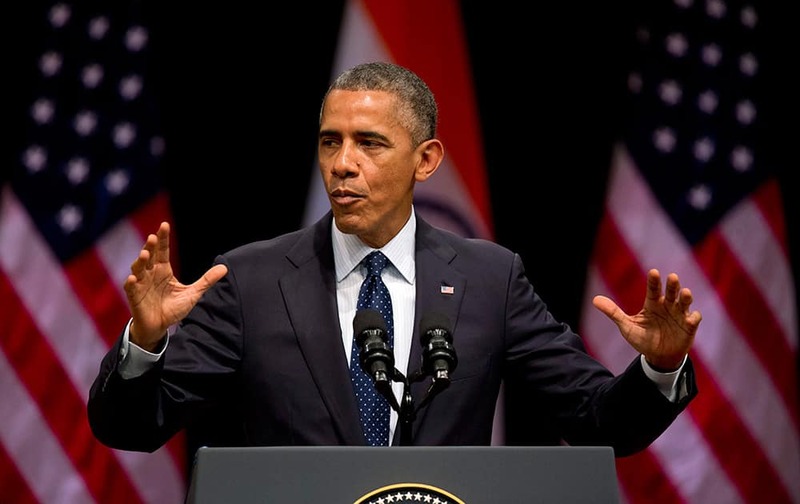 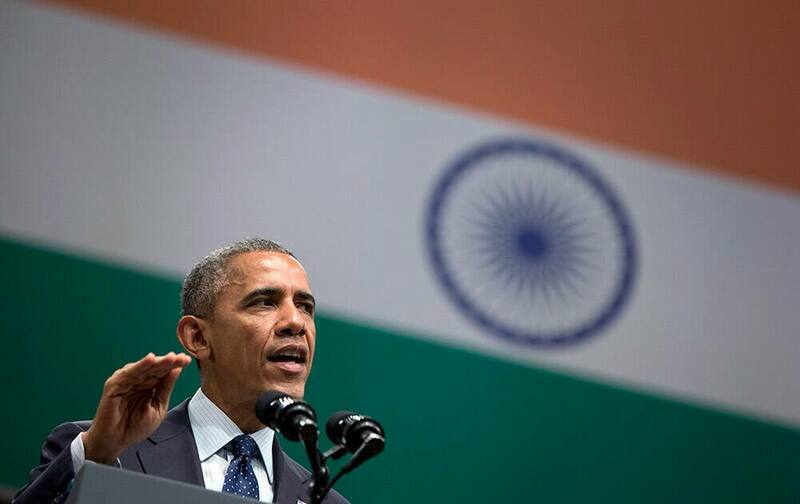 U.S. President Barack Obama speaks at the Siri Fort Auditorium in New Delhi. 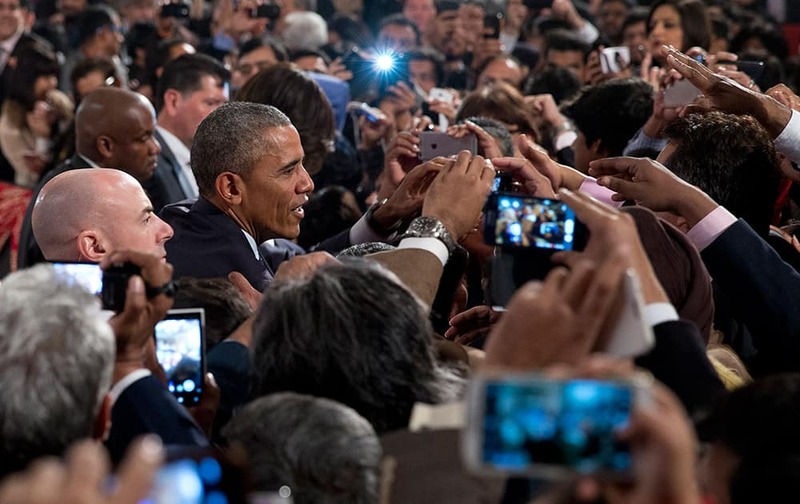 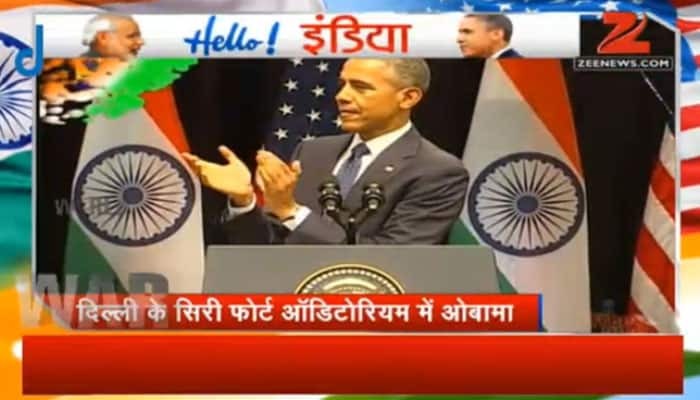 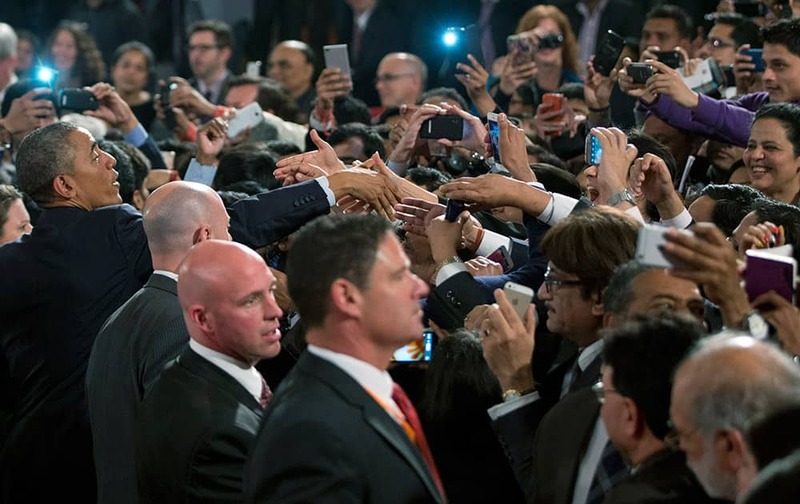 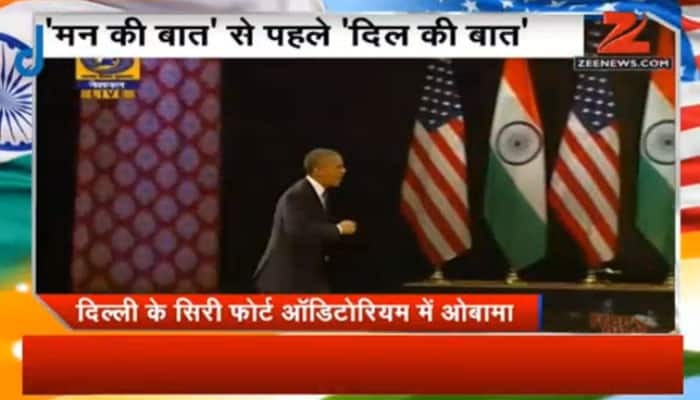 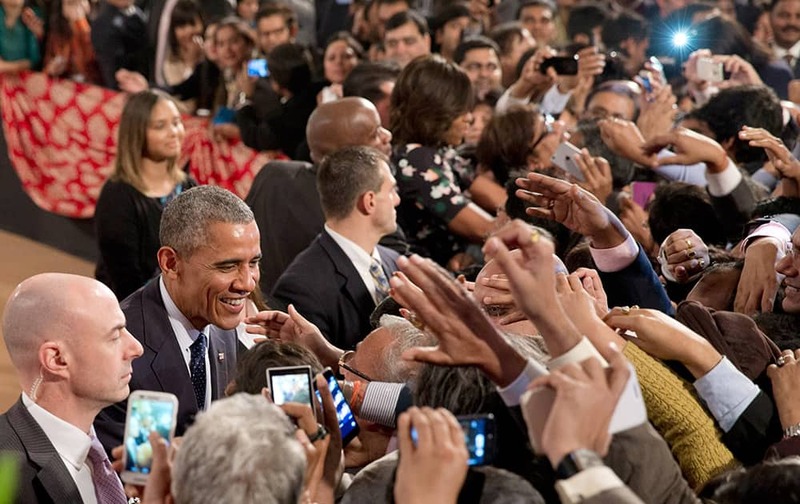 U.S. President Barack Obama greets people in the audience after speaking at the Siri Fort Auditorium in New Delhi. 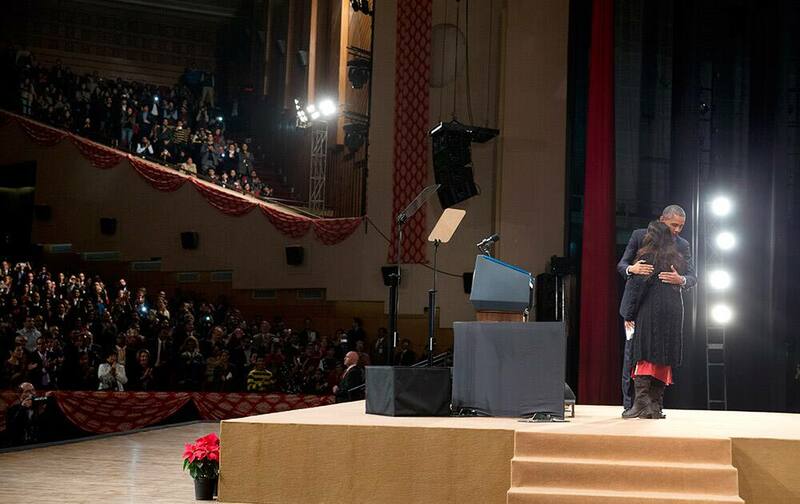 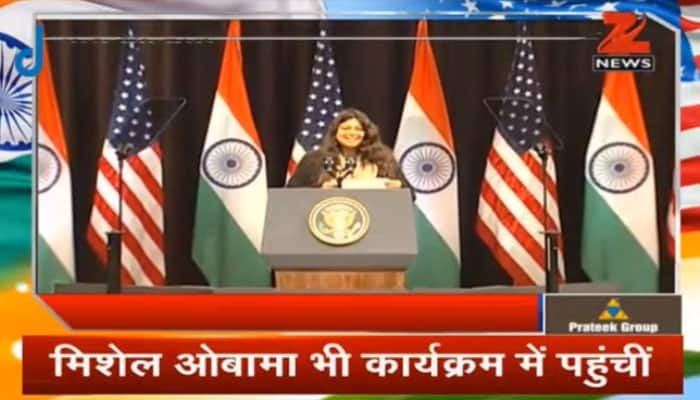 U.S. President Barack Obama embraces Pravah CEO, Neha Buch after she introduced him to speak at the Siri Fort Auditorium in New Delhi. 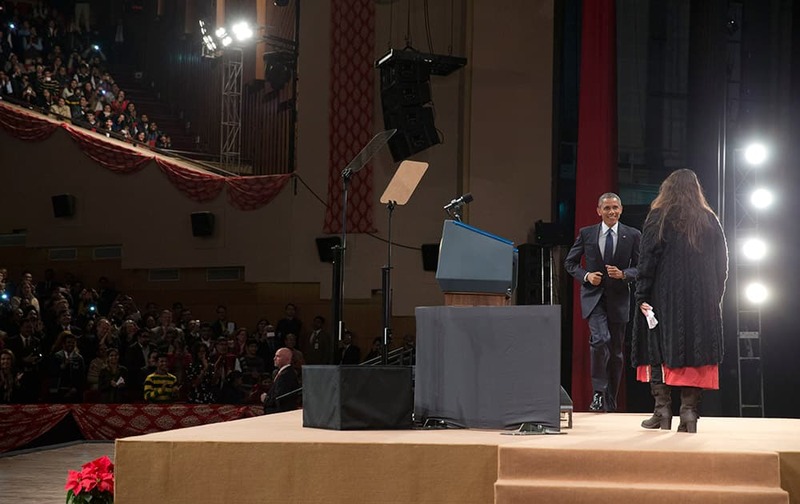 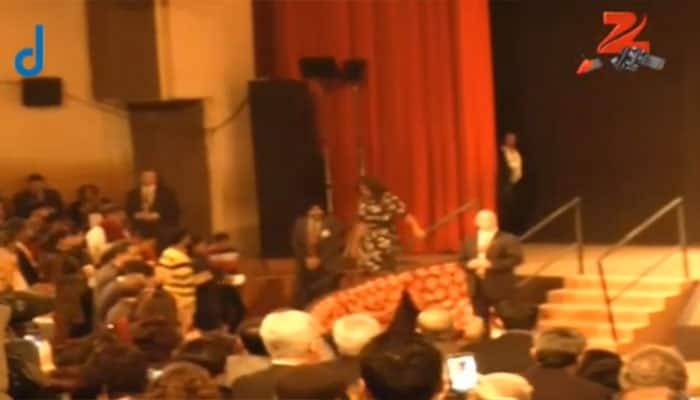 U.S. President Barack Obama jogs onto the stage after being introduced by Pravah CEO Neha Buch, to speak at the Siri Fort Auditorium in New Delhi. 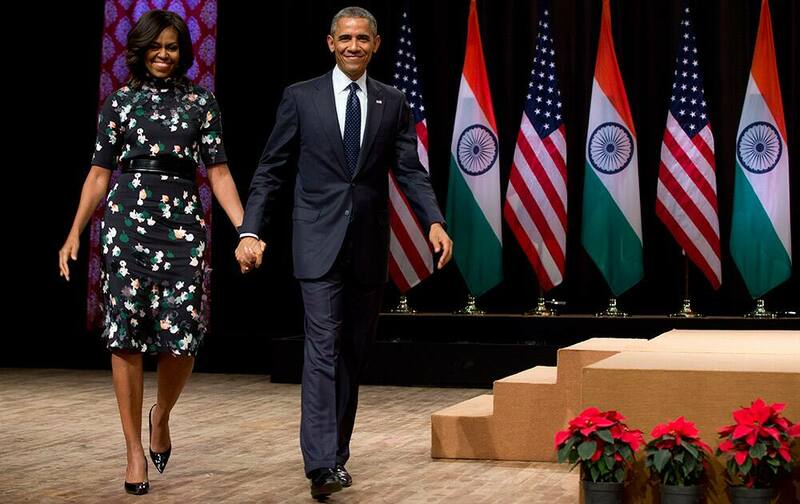 U.S. President Barack Obama walks from the stage with first lady Michelle Obama after speaking at the Siri Fort Auditorium in New Delhi. 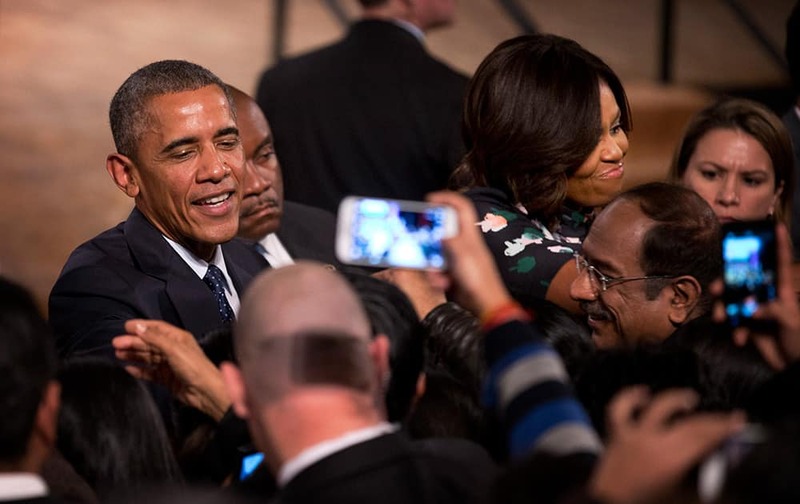 President Barack Obama greets people in the audience after his speech at the Siri Fort Auditorium in New Delhi. 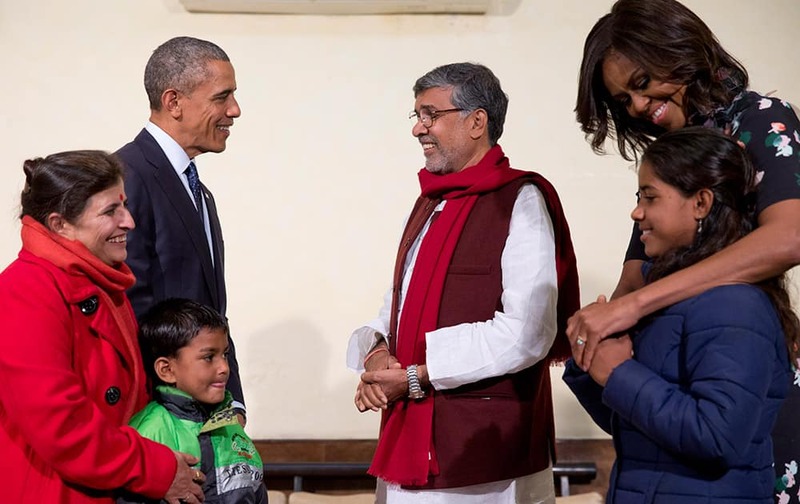 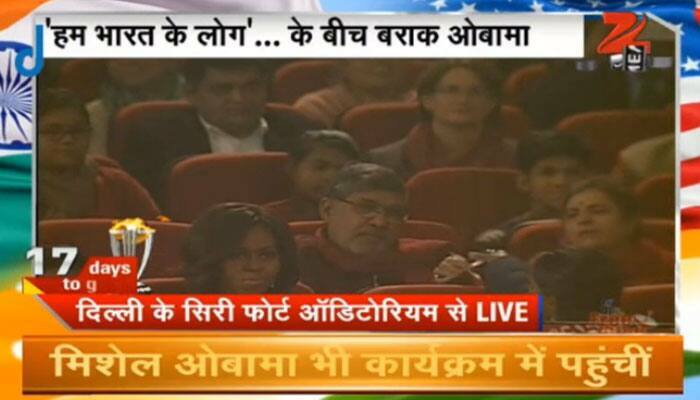 U.S. President Barack Obama and first lady Michelle Obama meet with Kailash Satyarthi, his wife Sumedha Satyarth, with Deepak, and Payal Jangid, at the Siri Fort Auditorium in New Delhi. 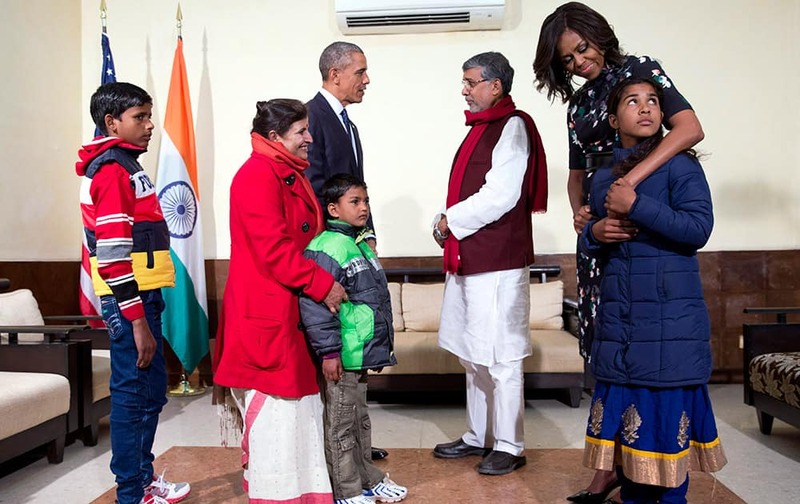 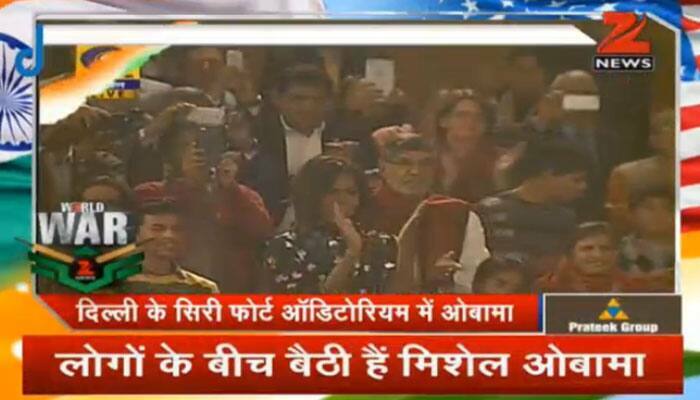 U.S. President Barack Obama and first lady Michelle Obama meet with Kailash Satyarthi, and his wife Sumedha Satyarth, with Deepak, Payal Jangid and Ayub Khan, at the Siri Fort Auditorium in New Delhi.